In October 2018, after a few days of commercial negotiations, India's largest rock drilling equipment production enterprise and us signed the purchase contract of YPD250L hydraulic upsetting press. After close communication between our technical engineers and the technical staff of our Indian customers, the Indian customer has full confidence in the quality of our equipment. They believe that pipes manufactured by our company's Hydraulic upsetting machine will be better than enough. From the date of signing the contract we will complete the production of the Hydraulic upsetter as soon as possible according to the customer's request to ensure that our Hydraulic upsetting machine meets the customer's requirements and the conditions stipulated in the contract before the delivery date. We will sincerely invite the India customers to check the equipment when the equipment is finished. This hydraulic upsetter will be installed in Hyderabad, India in next year. 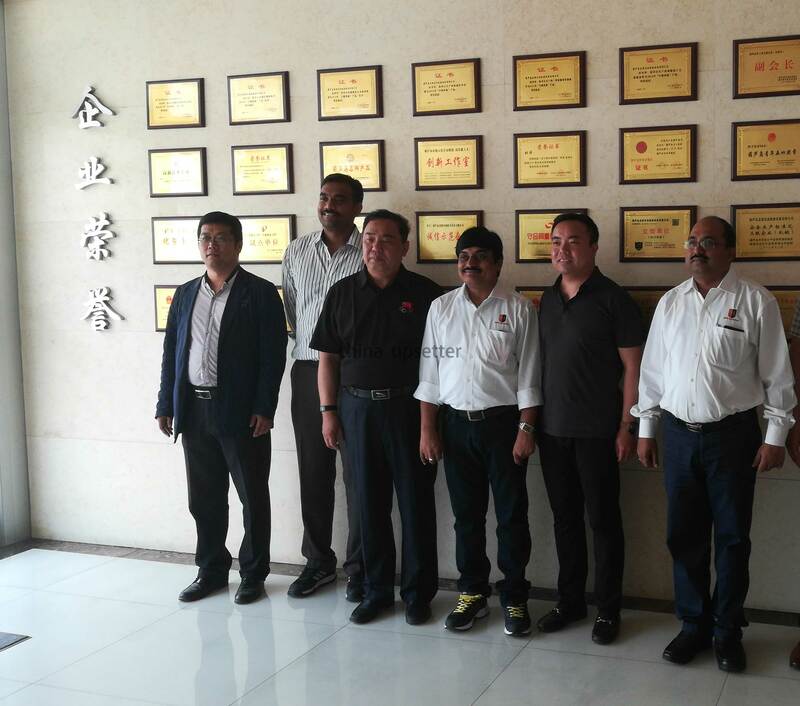 The last one：On August 9, 2018, a USA and India based customer visited our factory.